Are Tax Returns Going the Way of the Dodo? They say the only two certainties in life are death and taxes. But the age of technology is giving both a run for their money. Although death has not yet been defeated, it is being challenged by medical technology. Doctors are now chipping away at certain cancers, fixing genes to prevent diseases, and even performing surgeries by remote without even being in the room with patient. People may not live forever but they are living longer and healthier than ever. Taxes, on the other hand, are proving as durable as ever. But technology appears to be chipping away at some of the elements that make paying taxes such an anxiety provoking labor for so many. Specifically, technology is starting to push out the tax returns. The dreaded forms may soon be a relic of a by-gone era. 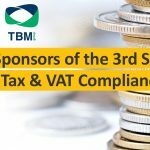 The UK’s Making Tax Digital (MTD) plan is at the forefront of the assault on the tax form, announcing the plan in 2015 with headline grabbing slogans such as “The End of the Tax Return.” The path towards digitization of the tax system has not been as smooth as anticipated, with delays and complications, but it clearly heralds a new direction. Once the foundation is set and the implementation finalized, it seems inevitable that much of the world will follow suit. The UK plan calls for complete digitization of tax reporting, initially for private business owners and then extending to the entire population, by the year 2020. The first phase of the plan is set to begin in April of 2019. Business owners in the UK will be required to file their VAT reports digitally though the new system. The idea involves turning the current tax collection system into digital tax accounts for all British citizens, similar to bank accounts. The tax accounts will contain all of the necessary information in one place. People will ostensibly be able to visit the account and find out exactly how much they need to pay in taxes, and be able to make the payments directly to the accounts. There will be no need for paper forms, which are often confusing. The UK HM Revenue and Customs (HMRC) office believes the new system will not only simplify the process for people but also generate more tax revenue for the state because the current system under-collects on some taxes. In its final form, the process may be simpler than a tax form but it will demand more more attention and effort from the taxpayer. Instead of a single annual tax return, taxpayers will have to make payments throughout the year at quarterly intervals. If successful, the Making Tax Digital plan could become a model for other bureaucracies, pushing the British government firmly in the lead on matters of tax digitization. It is reasonable for people to pay their taxes online just as they would make other payments, and it also makes sense for tax collection offices to create tools to make it as simple, quick, and accurate as possible. However, the plan is well behind the curve when it comes to looking for ways to replace the burdensome process of filling out physical forms from governments. Apps for claiming VAT returns are already well established and helping businesses collect VAT that is due to them that went unclaimed simply because the process made it too hard or just not worth the time. Such apps are not only moving the process from physical forms to the digital world but also employing AI to make the process better and easier. While the UK HM Revenue and Customs office may be leading the world in a change that will likely sweep the world in due time, a better model may already be available. 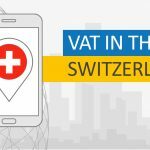 In fact, the app developed by Way2Vat is already doing much of what the Making Tax Digital project is aiming to do when it becomes operational next year. It establishes a single place for all of the information needed to make a VAT claim. The app creates the kind of efficiency that any bureaucracy would envy, and people are doing it willingly because it is in their interest to do so. So while taxes continue to hold their status as one of the few certainties in life, they are being reshaped by the forces of technology. As life moves deeper and deeper into the digital world, forms, including tax forms are likely to go extinct. Hopefully, the process that replaces them is as well executed as the one that already exists for reclaiming VAT, a process that has already begun to replace the forms long used in that sector. For the complete story on recovering VAT in EU countries, download our eBook.